Contest: Win Man on a Ledge on 4K and Blu-ray! 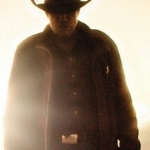 In the film critics call a “white-knuckle action thriller (Mose Persico, CTV Montreal),” ex-cop Nick Cassidy (Sam Worthington) escapes from prison to plan the ultimate heist; steal a $40 million diamond from cutthroat businessman David Englander (Ed Harris), and in the process prove his own innocence. From the ledge of the famous Roosevelt Hotel with the whole world watching, Cassidy plays a clever game of cat and mouse with the NYPD while his dutiful brother Joey (Jamie Bell) races against the clock to extract the diamond and clear his brother’s name. 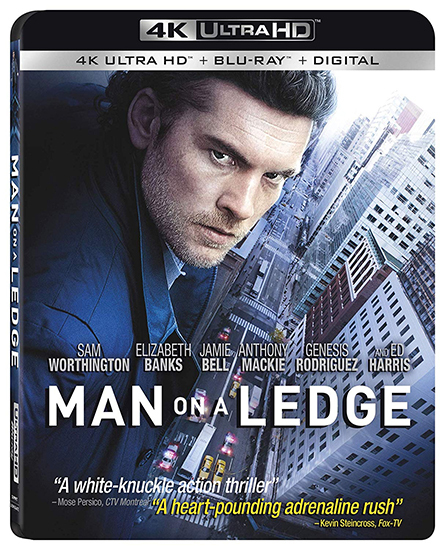 Man on a Ledge releases on 4K on April 9, and we have one copy of the 4K combo pack to give away to a lucky winner! You have from now through midnight Eastern time on the night of Friday, March 29, 2019, to get your entries in. Take a look at the form below to see all the ways you can enter.